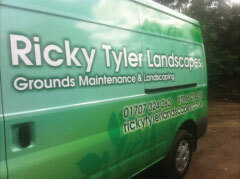 Ricky Tyler Landscapes is a rapidly expanding company and we are always looking for high quality grounds maintenance staff and Landscapers. If you are interested in a career with Ricky Tyler Landscapes please send your CV and a covering letter to info@rickytylerlandscapes.co.uk. We are always seeking good sub-contractors who we can use on our contracted sites to assist us in our works. If you would like to be on our approved sub-contractor list please contact ryan@rickytylerlandscapes.co.uk as we would like to hear from you! Ricky Tyler Landscapes can provide gardening and grounds maintenance services including Career Opportunities with Ricky Tyler Landscapes Hertfordshire covering London, Essex, Hertfordshire, Northampton, Buckinginghamshire & Bedfordshire .